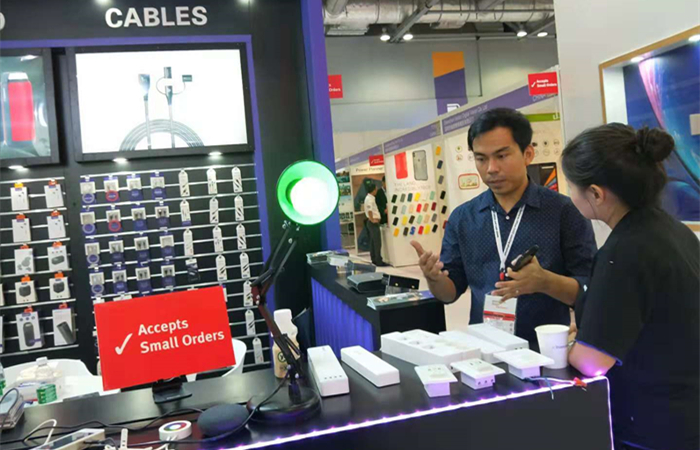 The Global Sources Mobile Electronics Trade Fair finally ended and it was a huge success. 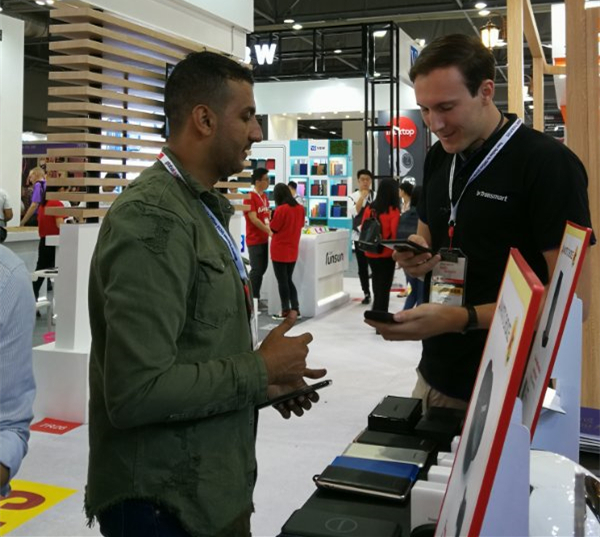 Many well-known industry electronic brands such as Anker, Aukey, RAVPower and AWEI all attended to show their latest products and technology. 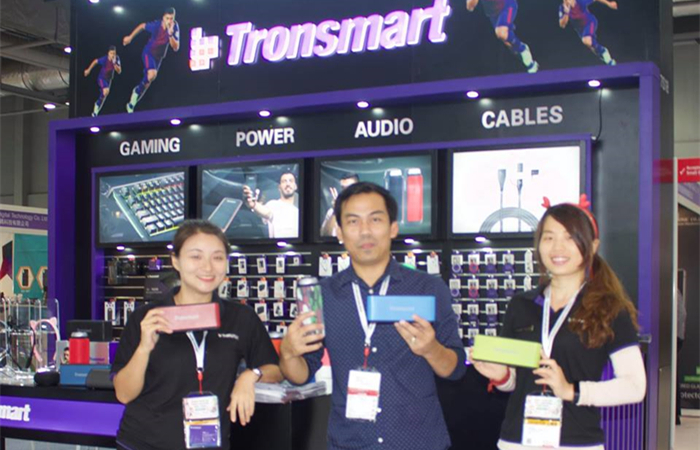 Tronsmart, as one of the globally recognized brands known for producing the best quality and delivering high performance presented a wide variety of new products at this fair which did not only contain the new products of Power and Audio product lines, but also included the products from three new categories: Gaming, Smart Home and Mini PC. 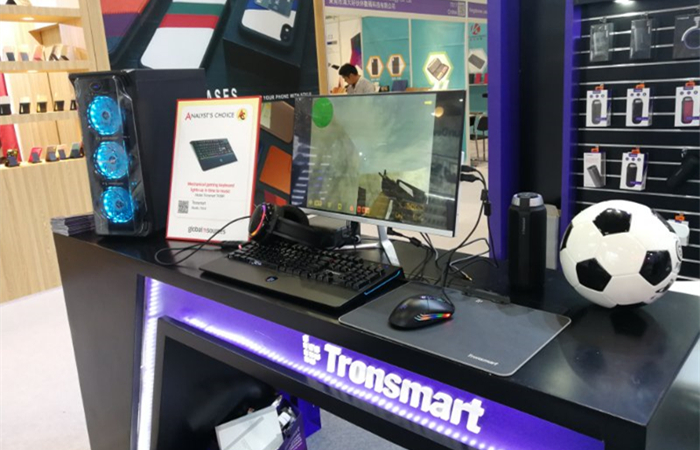 Three new star products, TK09R RGB Gaming Keyboard, WC05 AirAmp 7.5W/10W Wireless Charger and Encore Spunky Buds Bluetooth Headphones are selected by Analyst’s Top Choice. Now we are going to explain the details of each product lines for you to review this mobile electronic week. 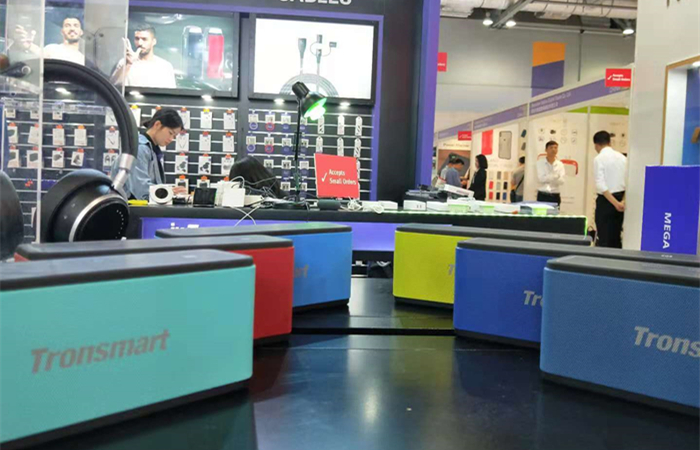 First of all, we presented various colors of our top selling portable speakers, T6 and Mega. Our clients can order and customize the color they want. 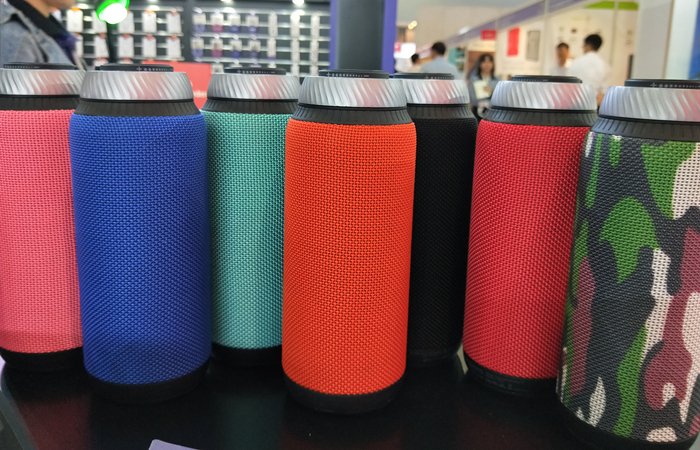 Meanwhile, we also presented the latest Bluetooth speakers Groove and Force at the Fair. Groove is an outdoor portable speaker equipped with IPX7 waterproof rating which is a perfect companion for you to listen to music at the beach or on-the-go. Force is a durable, portable and powerful Bluetooth speaker which is equipped with dual passive radiators that provide up to 40W of output with extremely powerful bass filling all the corners of your room. Additionally, two adorable headphones Bunny Ear and Wink are super attractive with female customers at the show. The cute ear design with pink and green colors is one of the best Christmas gift considerations. 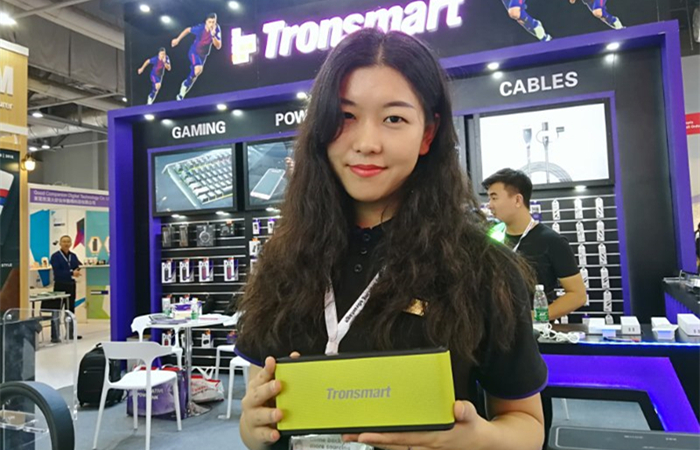 Secondly with the new leading product Trim 10000mAh power bank, our power products follow the latest quick charge technology that provides faster and safer charging experience for our customers. Trim 10000mAh portable charger is equipped with Power Delivery 3.0 technology that provides high speed charging for your devices. It is compatible with Huawei FCP technology as well. The USB-C PD port supports fast charging speed up to 18W of power for your phone, tablet and other devices. Our latest WCP01 18W USB-C PD wall charger is designed to give you full speed charging experience for your phones and tablets. It can cut charging time by up to 1.5 hours for your iPhone 8. Charge fast, live more. 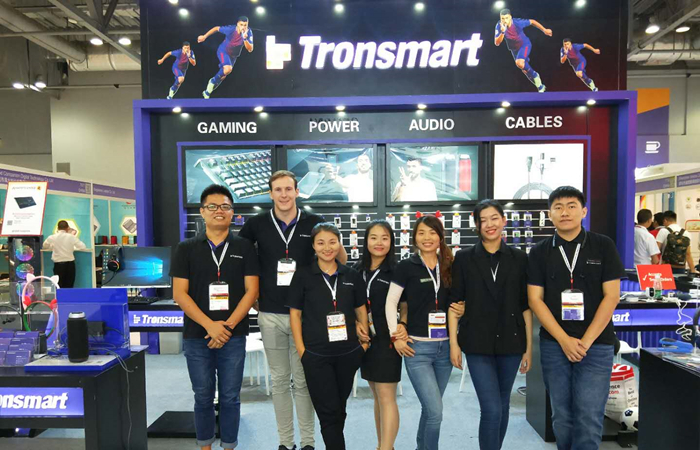 A new powerful product line was added to Tronsmart called Gaming and released with the most powerful software called Tronsmart Radiant. Our gaming category finally has a set of gaming accessories including a keyboard, headset, mouse, mouse pad and case fan that offers intelligent control with unlimited possibilities for your game playing experience. 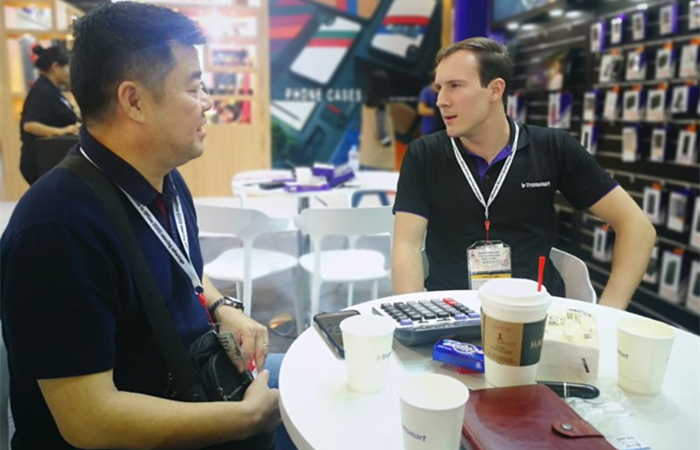 Our Malaysian client expressed his strong willingness to cooperate with us further after coming to the booth to see our gaming products. 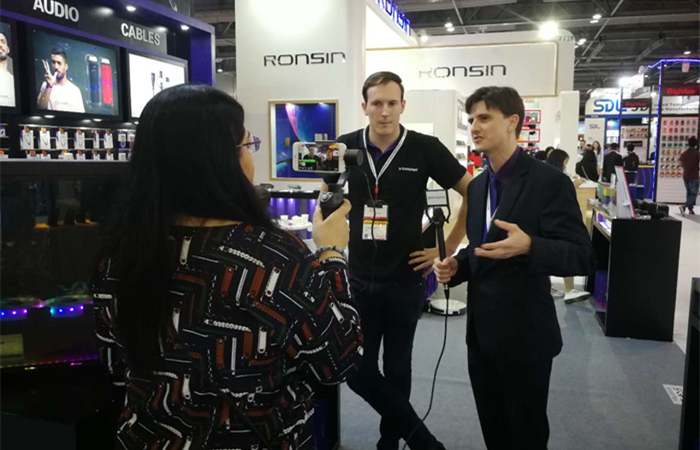 Moreover, one of the media from Global Source did a live show to report our gaming products. 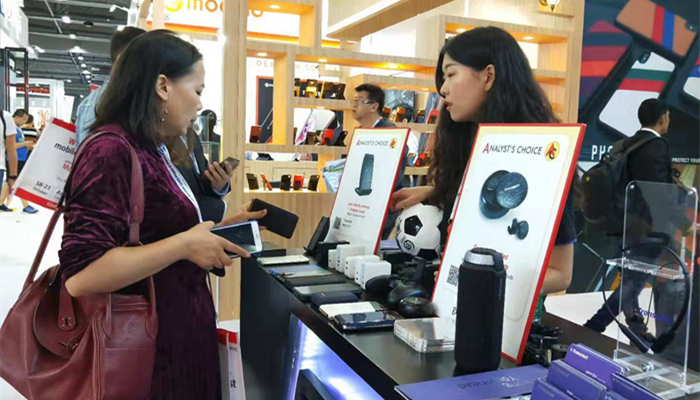 Fourthly our Smart Home and Mini PC product lines are the first time to attend such a big trade fair. There are a whole set of smart gadgets such as Smart Thermostat, Robot Vacuum Cleaner, Power Strip, Light Switch, Light Dimmer Switch, Wall Outlet and more that are able to create a smart home for you. Reinventing your home. 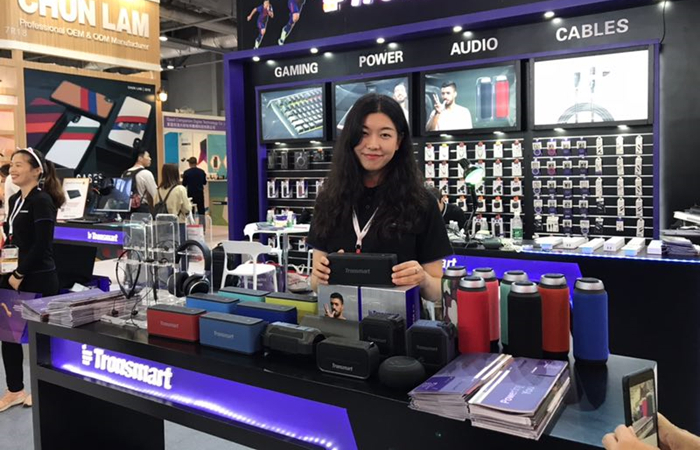 In addition, there are 5 new Mini PC products at the fair this time that you can look forward to their release in our new product plan. 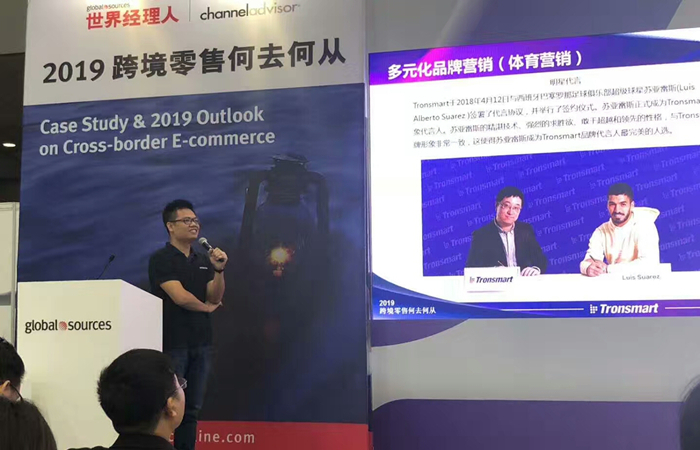 The last but not the least our Brand Director, Colin Yan was invited to share his ideas and inspiration about Tronsmart and the whole Cross-border E-commerce. This sharing event only invites two brands, Tronsmart and Remax (Real Estate Maximums) which is an American international real estate company that has more than 100,000 agents in 6,800 offices in about 100 countries. The whole sharing contents will be reported in the Chief Executive China magazine that is published by Global Source.